These are beautiful mushrooms that I received from Marx Foods. They were foraged from the Cascades. 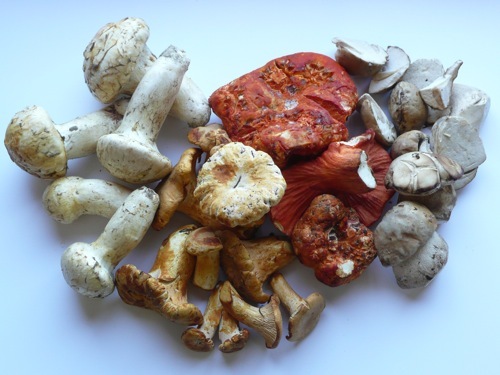 The sampler included lobster, chanterelles, porcinis, and matsutakes, none of which I had ever cooked. I decided to saute them with a little butter and olive oil, give them a quick salt and pepper, and serve them over a dried shittake infused risotto. Pretty tasty. I enjoyed all of the 'shrooms, though I was most surprised by the texture of the lobster and matsutake. 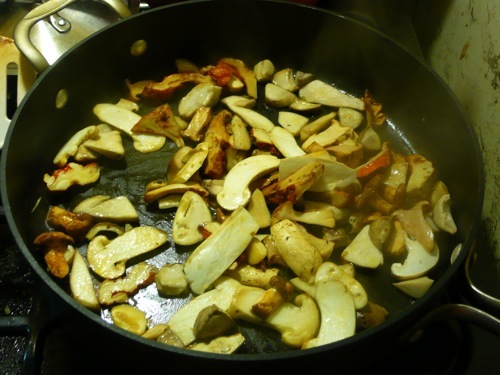 The lobster mushrooms stayed very firm after cooking, and had a subtle sweetness similar to a sweet potato. 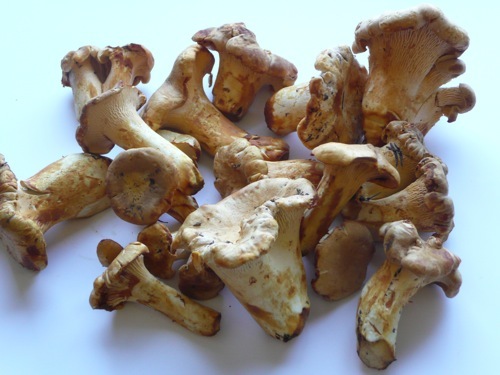 The matsutake also stayed very firm, with flavors of pine and juniper. Yum!